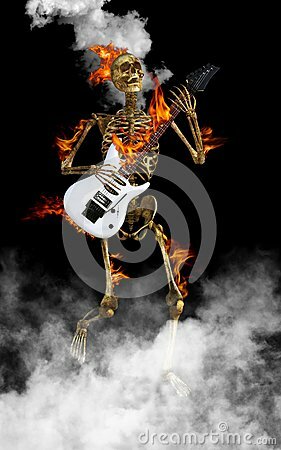 Fun Halloween and scary skeleton playing the electric guitar. The skull and bones are dancing to rock and roll and on fire. Rock is not dead! Wallpaper background for your mobile cell phone device.